Healthy-K9.com - Is cheese ok for your dog? 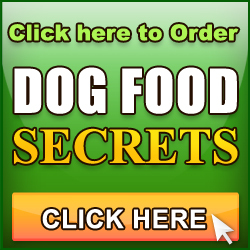 Home/Dog Videos, Homemade Dog Food, Homemade Dog Food Videos/Is cheese ok for your dog? Is cheese ok for your dog? Thank-you! I started giving my Schanuzers small amounts of soft cheese to hide there medications in and they loved it! I am glad to know it’s okay. I also give them a spoon of yogurt with oatmeal daily as there treat after runs or walks. you rock….. thank you so much for all your free information, you are a kind man. keep up the great work, we need you. As for Boris’s dad, I am so sorry for your loss, I lost my maltese a few years ago, his picture sits in a 8×7 frame on the fire place. the memories will never go away, but I promise you, the hurt will lessen. I’ll ask my TY (my maltese) to watch over him. Thanks Kathy… I still talk about Noble a lot. My son never met him but knows of his legend very well. Thanks for the tip! I live in New York City, right near Zabar’s, the biggest source of international cheeses in NYC, and my rottweilers always love the cheese bits I give them. No more camembert for Bruno! Thanks for all the great info Andrew! After 12 wonderful years of friendship, I lost my best pal to liver failure, and I’m still not over after 2 years! I hope to get another best friend in the future. Since I’d come across your informative website and tidbits of golden nuggets I stay thankful. Keep up the generous information; it’s a wonderful thing you do for us “ignorant” folk who want to love our “kids” in the best way possible. Carol, Brian and Richard…. you’re all very welcome! thank you andy for all the info.my dogs would do anything for cheese small amounts thats how i started training them. It works but cant give all time then they will only do it for food. That wouldnt be good.Just a treat….This is to joseph Boris dad I know how you feel I lost my dog 11yrs. old to cancer I also have 4 other dogs they each hold a spot in our hearts I know the empty feeling. Reassuring to know cheese is not harmful. My two Chihuahuas love it (in small doses of course). Mould it round a pill and it’s gone, no probs!! Our dogs love cheese. They go through their repertoire of tricks when we have some for them. Thanks for the info! Mimi, Loran and Rick… great to see you know moderation is the key! When my precious furbaby had liver cancer, the holistic vet recommended cottage cheese with flaxseed oil (Dr.Budwig diet), which I gave him along with a high Omega-3 diet. Although cancer won in the end, he lived longer than expected. Great article. 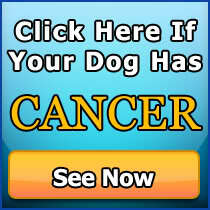 Glad someone out there is for the dogs, ect. Have a Belgian Sheepdog and three toy aussies, cheese in small amounts are great for training. Thanks for the info. I have been using cheese for the couple of months to help train my dog and he just loves it. I have not seen a change in his stool, but I will change to something else to better benefit him. Thanks again. You’re a good man. Thanks again for the info. Great information , will pass this on to the rest of the family. thanks for the info…great to know! Antoine, Brian, Skip and Jo Ann…. thanks for sharing your thanks, it means a lot to me! I am sorry if my comment did’nt make a whole lot of sense.I just thought I would share our love for our Boris. And my anger for cancer. Joseph, no need to apologize, I and many of the other visitors to this page know your pain. Thanks for sharing these wonderful memories with us. Many thanks for your valuable advice. My dog,Otto, loves natural yogurt so I’m glad that it’s as good for him as it is for me ! Connie and Sheila, you’re welcome! thank you andrew i appreciate all ur tips! 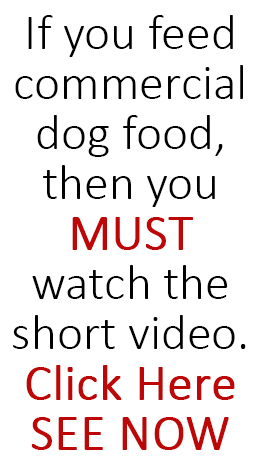 This was very good information to me, as my Doberman Pinscher LOVES cheese! I grate the cheese and mix it in small amounts in his food sometimes for a special treat. I wasn’t sure if it was bad, so I did not give too much. He seems to tolorate it ok, but Im sure moderation is the key. Ill try some yogurt for him now that I know it’s good for him. Zara (aka Zoom, Zoomer Girl, The Zoo) will be so happy to know that she can still have her treats of cheese and her tuna and cheese omelette every now and then! Thanks again – Have a great Easter! Thank you I have been telling my mother not to feed the dogs cheese but she loves to see them so happy eating it.